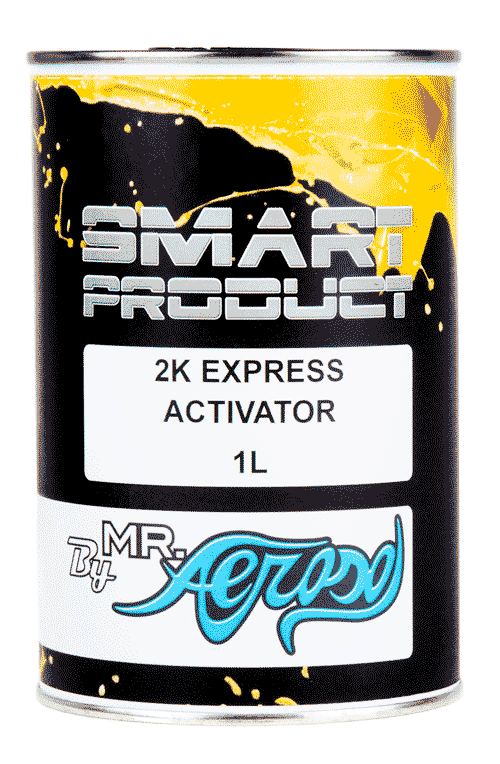 Smart Product Multi Build 4+1 Primer is a high quality 2K acrylic urethane primer with excellent build and colour holdout. 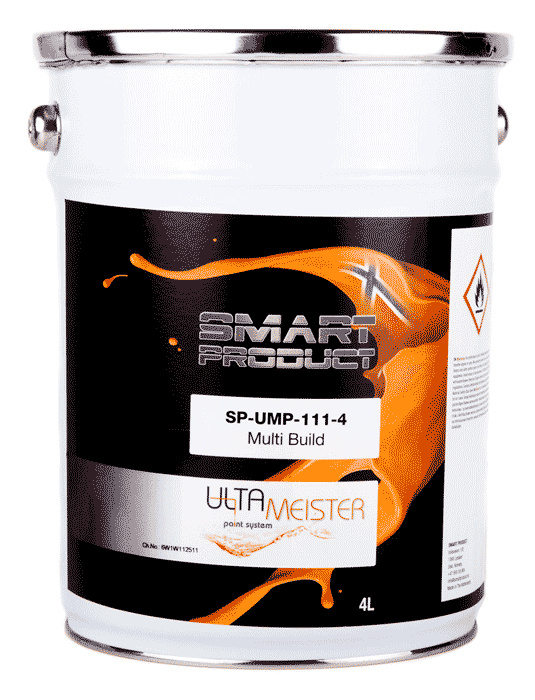 Smart Product Multi Build 4+1 Primer can be used as a high build primer and a primer surfacer. Multi Filler Higher Build Primer 4-1 can be applied directly over factory primer, GRP / Fiberglass, existing finishes in good condition and polyester putties, after degreasing and machine sanding with #180 - #220 grit dry. Multi Filler Higher Build Primer 4-1 can also be applied directly over Epoxy Primer Surfacer. Multi Filler Higher Build Primer 4-1 can be applied over bare steel, aluminum and galvanized metals after priming with SP-UMP 109 Etch primer activator. Over thermoplastic acrylic and old lacquer finishes, Multi Filler Higher Build Primer 4-1 must be applied to the complete panel. 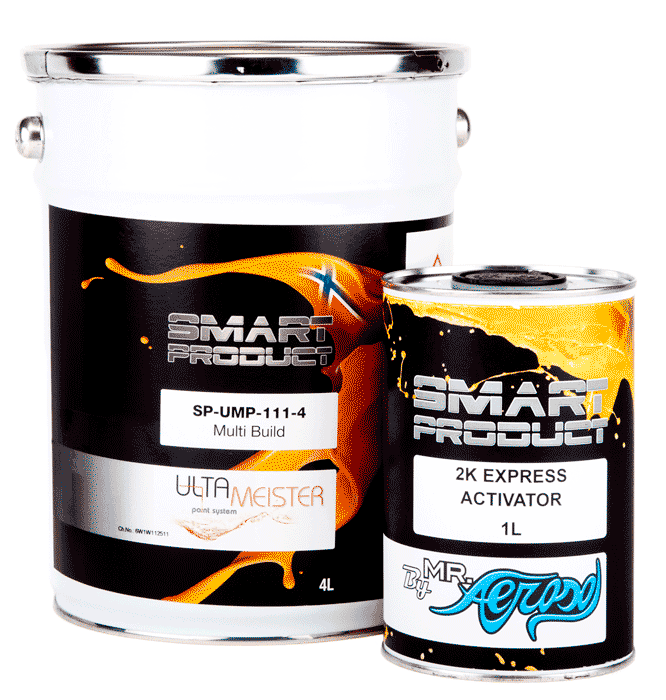 When dry, Multi Filler Higher Build Primer 4-1 can be recoated with 2 component Acrylic Solid Colour & Smart Products Ultra Meiser Basecoat & clearcoat systems. Can also be used with waterbase systems. Cleaning Clean equipment after use with cleaning solvent. Process Notes Choice of Hardener / Thinner Hardener and Thinner selection will depend mainly on temperature, but also on air movement and size of repair. Multi Filler Higher Build Primer 4-1 can be activated with SP-UMCA 700 primer activator.